You can be both happy and successful. Take your life in your hands. Welcome! I am here to give you professional support in order to make your dreams come true, to help you do what you love to do, to be fulfilled, happy and successful, to surround yourselves with love and live a fabulous life. Book your place at the next event! Stay in touch, sign up for a mailing list! 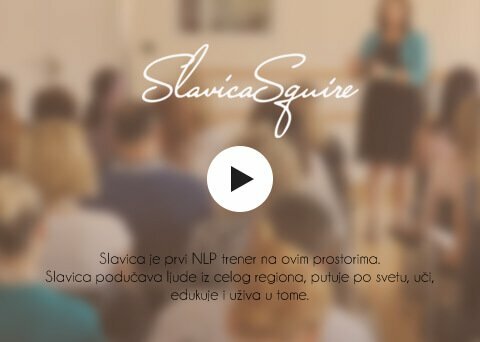 As already mentioned, Slavica is the first NLP trainer in the region. She had come from Germany to Serbia in 2004 wishing to make these methods available in Serbian language at the highest professional level. She founded the NLP Institute and the Coaching Academy, and apart from that she wrote numerous useful articles and several practical books. 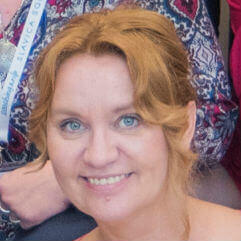 Slavica trains people from the whole region, travels around the world and enjoys it. "The training of Slavica Squire’s Coaching Academy is the one that gave my life a new dimension after many years of different educations. It is comprehensive, clear, comprehensible and specific." "I am proud, happy and grateful to myself because I decided to experience training at Slavica Squire’s NLP Institute. I am particularly grateful to the trainers who selflessly shared their knowledge and experience with us, who offered us support and instigated our belief that we can and we deserve and actually owe it ourselves to fulfill our potentials and be what we have always wanted to be. "From all I have read and researched so far on the subject of coaching and working with people in general, Slavica Squire’s NLP Institute is the place with highest credibility and the best place to study coaching. There is no better one. That is why I came here." Slavica inspires people to make their dreams come true and to become the best versions of themselves, to become even more successful at what they do, to surround themselves with love and live a happy and fulfilled life! In order to accomplish her generous mission and to make her knowledge and experience available to anyone interested in the matter, Slavica gives various types of lectures and organizes educations, workshops and trainings, the most famous of which is her authorized program Power Life Design… All her events are sold out, so you can get informed on the content and calendar of the trainings here and book your place for one the upcoming events on time. Download for free my e-books!